Robust tubular steel frame for extra stability. 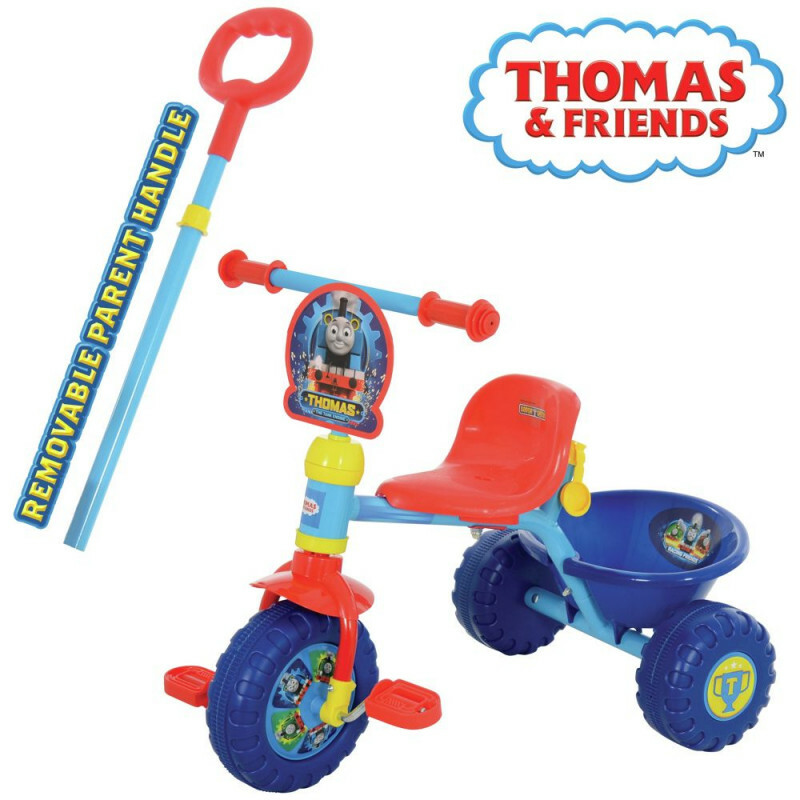 This Thomas and Friends Trike is sure to be a hit with fans of the show and it has several features that are sure to make it a hit with the parents too. 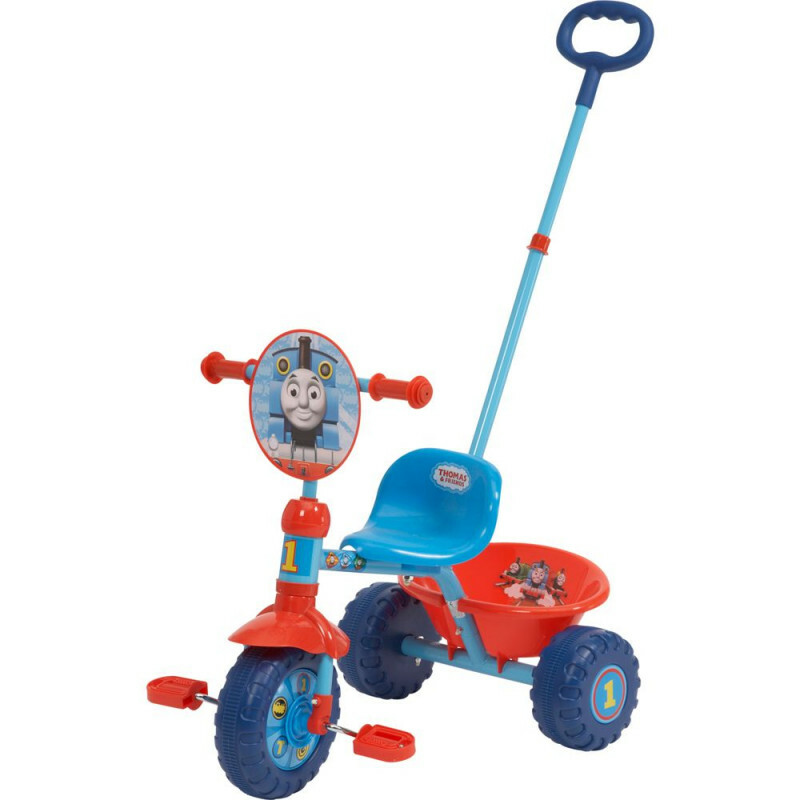 There's a removable parent handle at the back and a front wheel clutch, meaning your little one can be their own driver and yet you can easily take over if the need arises. Front wheel clutch for free wheeling.